the beatroot: Polish president PiSed? Should the President of Poland renew his AA membership? And no, I don’t mean the Automobile Association. And does anybody care? Well, the ruling Civic Platform’s Janusz Palikot (above) does. The MP with the big fortune - worth 333 million zlotys according to Wprost magazine - and the big hair, has also got a big bee in his bonnet about whether President Lech the duck Kaczynski has got a drink problem. It all started with a post on Palikot’s blog - all MPs have blogs these days, in their desperate attempt to ‘connect’ with the people - where he demanded that the President publish a detailed record of his health due to concern that the head of state has a drink problem. He later apologised for his remark about the alcohol but repeated a demand for a record of the president’s health be made public. That was back in January. In February, the court in Lublin declared that there ‘was a lack of public interest’ in pursuing the case in a libel court. Well, indeed. But the matter still seems to be consuming the political and media class here (when the same people are not, many of them, consuming vast amounts of alcohol. Show me a journalist that doesn’t drink and I will show you a blue hippopotamus wearing patent leather stilettos). 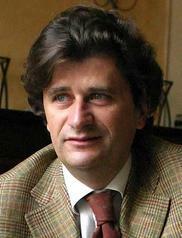 Palikot has remained on the offensive about a subject of dubious importance. If Kaczynski isn’t an alcoholic then maybe “he has Alzheimer’s” is the type of comment he comes out with. Kaczynski does pop into hospital quite often. We also know he likes a drink. In one meeting with Prime Minister Tusk they got through half a case of wine between them and advisors. But does that make him a lush? He doesn’t speak very clearly, but then neither does his twin brother Jarsolaw. And the nearest Jaroslaw gets to the good times, apparently, is a plate of scrambled eggs. There is an expression, He drinks like a fish, but is there an expression, He drinks like a duck? And is the reason for the President's dithering and incompetence down to booze? If you answered yes to any of the above questions then maybe you should stop drinking so much. Beyond rumours and gossip are there any facts? I understand similar stories float around about Kwasniewski but they seem to have a fair bit of video associated with the claims. "And the nearest Jaroslaw gets to the good times, apparently, is a plate of scrambled eggs." Is this supposed to sound like what it sounds like? There are some schools of thought that there may be a genetic basis for alcoholism. The evidence is not conclusive either way. What do the gin soaked folks at the salon think about alcoholism and heredity? They probably go on for hours about it and go through dozens of bottles along the way.